Here’s a simple question – Can you, or can you not, send an unsolicited email to a business prospect after the 25th May 2018? 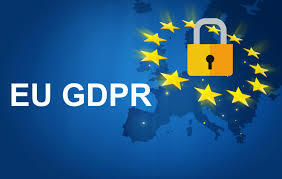 As a telemarketing company we have had to make it our business to become intimately acquainted with the rain forest of information on the new GDPR legislation and what it will mean for our clients from 25th May. Actually, there is some good news. If you operate as a business to business enterprise then the new regulations shouldn’t impact on your business too much. 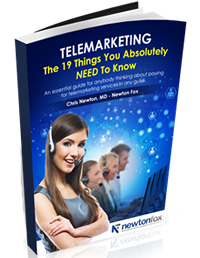 It certainly won’t affect your telemarketing/cold calling activity in any way and provided you act professionally toward this then all will be well. However, the one question I have been asked more than ever surrounds the sending of bulk emails to bought in addresses. the confusion lies in the fact that the legislation says that an email address is not included in the legislation provided it doesn’t reveal the full identity of the recipient. So, jane@abc.com is fine whereas jane.smith@abc.com is a no no. Similarly, j.smith or smith.j would also not be permitted. We’ve given this some serious thought. Our clients rely on us to open doors for them to trade with the companies they want to win as clients and our attitude is to leave no stone unturned in order to do that. However, we believe that this new era provides an opportunity to re-think marketing methods from the ground up. Rather than spraying the world with fertilizer and hoping something grows from it we are actively encouraging our clients to select specific industry sectors and furthermore, companies within those industries to target and nurture. These prospects will be invited to engage with our clients and agree to receive genuinely useful information, hints and tips and invitations to webinars, seminars and the like periodically throughout the year. There’s nothing new in this style of marketing of course, ‘content marketing’ as it’s called has been a tried and trusted staple for many a marketing consultancy; the difference here is that all prospects concerned will now be cleansed and comply with the new rules. It’s a paradigm shift for many and requires faith and courage but we feel strongly that rather than try to find loopholes in the law we should all be using it to improve our strategy and so results. Not everyone will agree of course and for many they will want to push the boundaries as far as they dare to see what happens. As for us, we will helping our clients first understand and then adapt the new rules to best advantage, cleanse and convert their existing data and then go onto benefit from what’s to come.